GALENA – For Jerry Tranel, nothing can hold a candle to the thrill of competition and the joy of donning a medal. For the past 35 years, Tranel, 65, has competed in Special Olympics Illinois State Winter Games in Galena. Last year, he won second and third place for his cross-country skiing events. 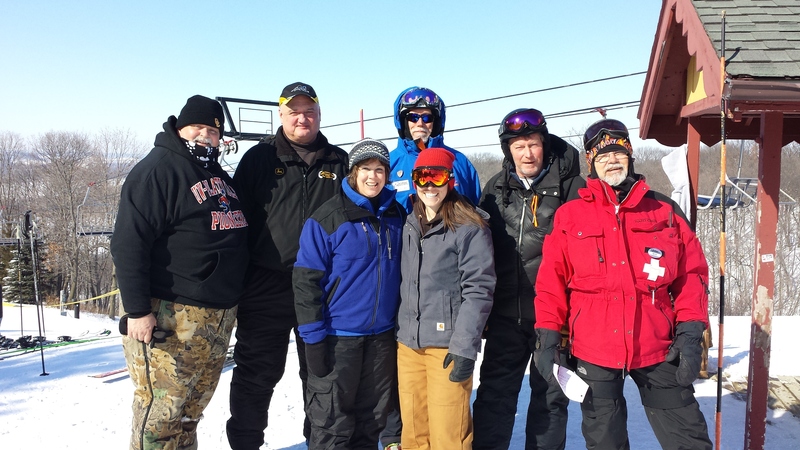 He returns to the slopes at this year’s Winter Games at Chestnut Mountain Resort. After finishing his 1K and 2.5K races – hopefully with some hardware in tow – Tranel will do as he has done every year for the past 16 years, scanning the crowd for a white-haired, bulbous face and boisterous laugh to tell of his recent athletic prowess. For Tranel, who is cognitively impaired, volunteer Scott Price has been a constant, reassuring voice of encouragement and affirmation, dating back to their childhood in Galena as toddlers. Price, 59, has volunteered on the alpine skiing hill for the better part of the past two decades. 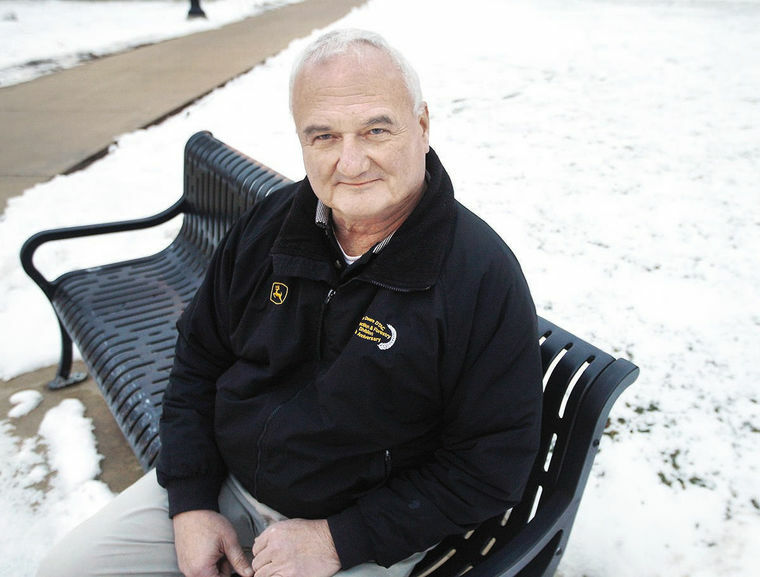 He was working as a snow-maker at Chestnut Mountain Resort in 1973 while on winter break from college when he met Mark Van Osdol, who would recruit him years later to help run college ski races at Chestnut and later with Special Olympics. Immediately, Price was hooked, and has since gotten dozens more to hit the slopes year after year to coordinate, plan and motivate. Each year, he brings a group of co-workers from John Deere, most of whom have been volunteering at the three-day winter sporting event for the past decade. 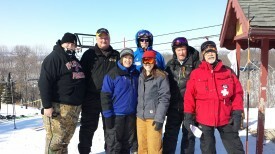 Scott Price (second from left) with other volunteers at Alpine Skiing Levels 3 & 4. The joy on the athletes’ faces, Price said, keeps him coming back each year, in addition to the friendships he has made with people like Tranel and their families. Some of the athletes have been skiing on his hill since he started volunteering, and he has enjoyed watching them evolve as competitors. Throughout his childhood, Price befriended special-needs individuals, whether it was the kid next door in Galena or Elizabeth or a classmate on the same bus. But it wasn’t until recently that he made the realization. “I’ve just always been around a special-needs person, and back then … a lot of the time they were in the same classes we were in. And we just took care of them and helped them when they needed it, and were their friends,” Price said. “I don’t think the students now have those opportunities, because in a majority of cases the special-needs kids are now in other programs where they’re not side-by-side in the classroom with kids their same age. One for which Vojta said she is eternally grateful to Price for helping instill in her and others. So much so that she plans to fly back to volunteer next year; she is moving to Colorado this March with her husband.